Dr., Professor Leonid Kistersky is a Founding Director of the Institute for International Business Development and CEO of the IPR GROUP. 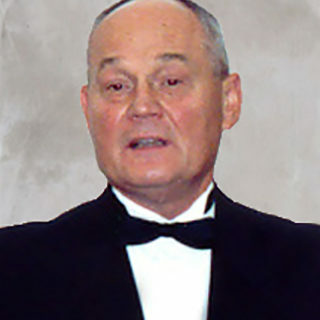 Leonid was also a founding chairman of the National Center for implementation of the international technical assistance to Ukraine in the rank of a minister. In this capacity he developed a system of resources influx for market reforms in Ukraine. In particular, Leonid contributed to setting up and developing together with WIPO the Ukrainian Patent and Trademark Office (Ukrpatent) by attracting grant support and individual foreign experts to increase the Ukrpatent capacities. As a Director of the Institute Dr. Kistersky helped developing a number of private businesses including IPR GROUP, which became a leading regional IP Company on the CIS territory. IPR GROUP has developed offices in major CIS countries and serves as a “single window” for its customers for the whole CIS area. As an IPR GROUP CEO, Leonid is responsible for developing business with foreign companies and international institutions. Dr. Kistersky served in Geneva, Switzerland, as an Economic Affairs Officer at the Secretariat of the United Nations Conference on Trade and Development (UNCTAD) in the Department of Money, Finance and Development. There he was responsible for analytical reports preparation on external debt of developing countries, Eurocurrency flows, and official development assistance to developing countries, provided regular support to the Trade and Development Board intergovernmental sessions. As a visiting professor lectured and researched on international economy in world leading universities – Brown and Stanford Universities (USA), Konstantz University (Germany), Higher School of Business (Poland), and others; as a result, numerous books, scientific papers and textbooks were published there. On a competitive basis as an expert and a team leader implemented numerous international development projects commissioned by UNDP, EU, World Bank, International Red Cross Society, and by governments of individual donor countries, among them: joint British-Ukrainian Project “Business Development and Lending for Ukrainian SMEs” under TACIS BISTRO arrangement, SIDA Funded project “Advisory Support to the Ministry of Finance of Ukraine in Budget Process Reform and Aid Management”, World Bank Funded Project “Community Social Support” for the Ministry of Social Policy and Ministry of Finance of Ukraine. In 1994, Dr. Kistersky was awarded the title “Man of the Year” and a Gold Medal by the US Biographical Society for outstanding achievements in the sphere of social sciences; in 1995 he received a Hubert Humphrey medal for significant achievements in the field of political sciences. Leonid is the author of over 130 scientific publications, including 14 books and textbooks on international economic relations and international finance, published by leading publishers in Ukraine, Switzerland, Russia, USA, UK, Poland, Germany and other countries. Dr. Kistersky is a full member of the Ukrainian Academy of Economic Sciences and a member of prestigious international and national institutions and organizations – the United Nations Scientific Council, the Association of International Economists of Ukraine, and an editorial board member of several scientific magazines.